Export your VFP reports to Images, RTF, PDF, HTML or XLS super easy! Send them by email! Enhance the look of your previews, and bring a new life to your APPs! The original toolbar was modified, with some new button images, and new buttons too ! The printers combobox will show you all the available printers (local and in the network), and allows you to change the output destination to any printer that you want. Determine on the fly the quantity of copies that you want to print! View miniatures of all pages of the current report. Clicking on any miniature will jump the output page to the selected one. The report context menu was updated as well, receiving all the new buttons and pictures. For the case of the "Save as." button, a submenu brings all the output possibilities. 7 - Changing the Printer Preferences. 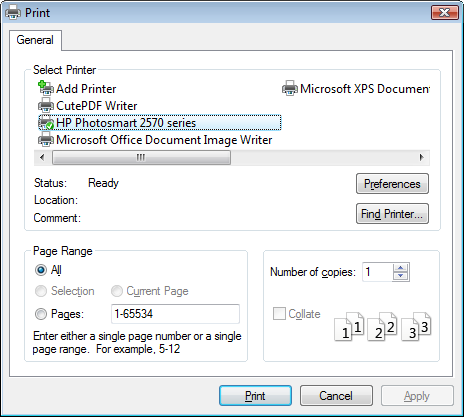 Now you can access the Printer Preferences dialog to change the default printer settings of the selected printer directly from the report tollbar. Works on all Windows versions! 8 - Send report by Email. Sending a report by email is super easy. You may choose between using your defalt Email application via MAPI (compatible with Outlook Express, MS Outlook and Windows Live Mail), CDO, or even your custom email procedure. Users will be able to send the current report with a single click ! Using the CDO option, you'll use your own SMTP server to deliver your messages. You can send HTML or Plain Text email bodies. 9 - User Setup allowed. 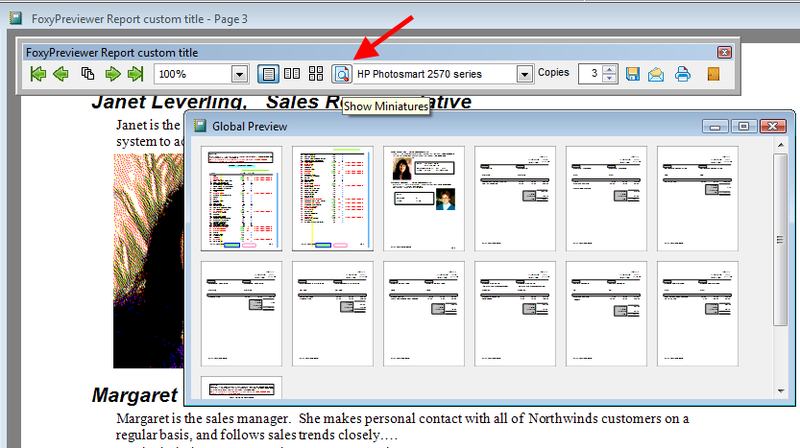 Users may configure the PrintPreview window and toolbar appearance for the current and for all the subsequent report sessions, customizing almost everything! Right now FoxyPreviewer supports 12 languages: English, Spanish, Portuguese, Greek, Turkish, French, German, Italian, Persian, Czech, Polish and Indonesian. You may switch between languages setting just one property. 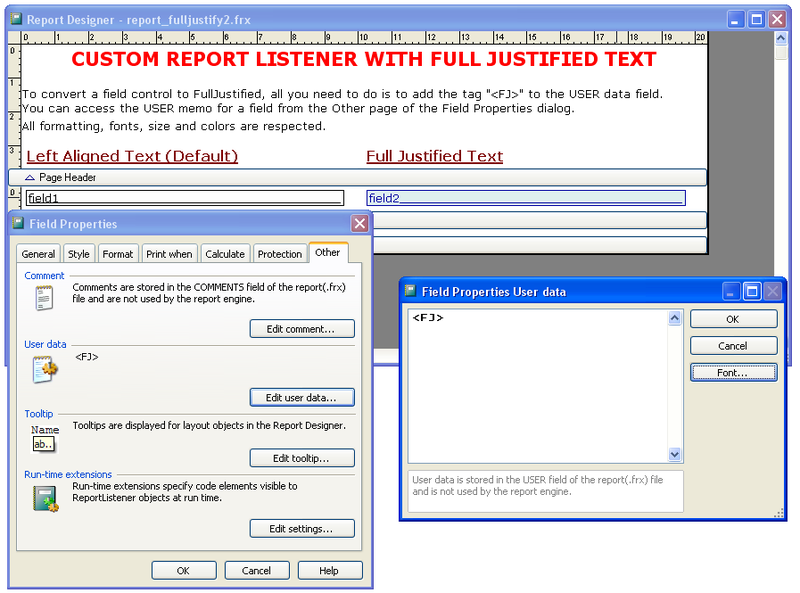 12 - Full justified texts in ALL your reports! 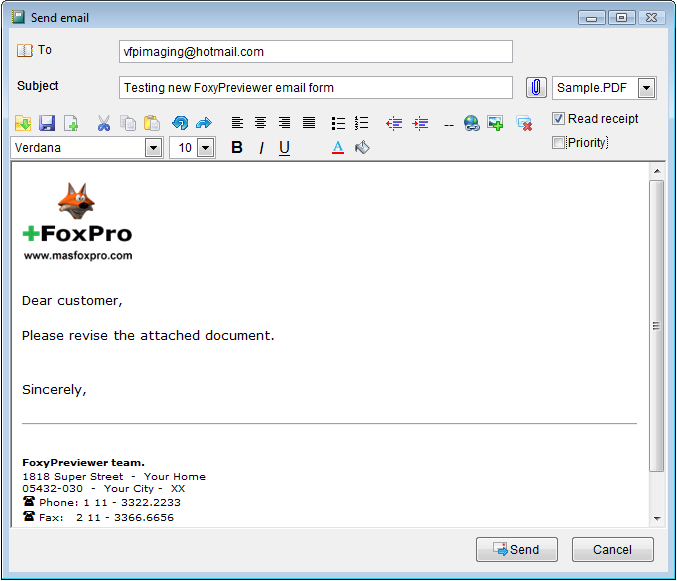 Just include the tag "<FJ>" in the desired report control's "User Data"
FoxyPreviewer encapsulates many free and fantastic tools developed by some great participants of the Visual FoxPro community. Below is a partial list of the related tools and their creators. Lisa Slater Nicholls - for the great job that she made with the reporting system of VFP9 SP2. And more than that, for her great blog, the excellent and well documented articles, and the complement of for the Help files of VFP9SP2, regarding SP2 new features. Colin Nicholls - Author of the new reporting system of VFP9, for his many great articles regarding the new reporting system, specially for the article Exploring and Extending Report Previewing in VFP9. I took the miniatures preview form classes from there, and also lots of ideas used in the whole library. Every time that I re-read that article I can find a new cool thing. 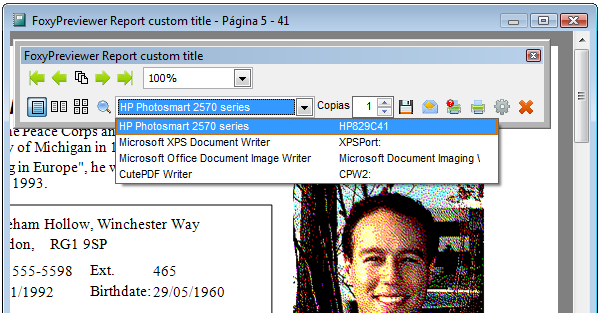 Luis Navas - He's the author of the PDF Listener. A terrific job, great code. More info about PDFx can be obtained in his blog: PDFx Update Support for some SP2 Features. 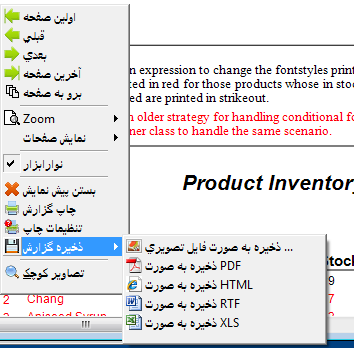 This brings a new, lightweight and very reliable option for us to export our reports to PDFs. Thanks a lot for your support and help with this project ! Vladimir Zhuravlev - He's the author of the RTF Listener together with Dmitriy Petrov and Valeriy Liftshits with help of Vadim Pirozhkov. 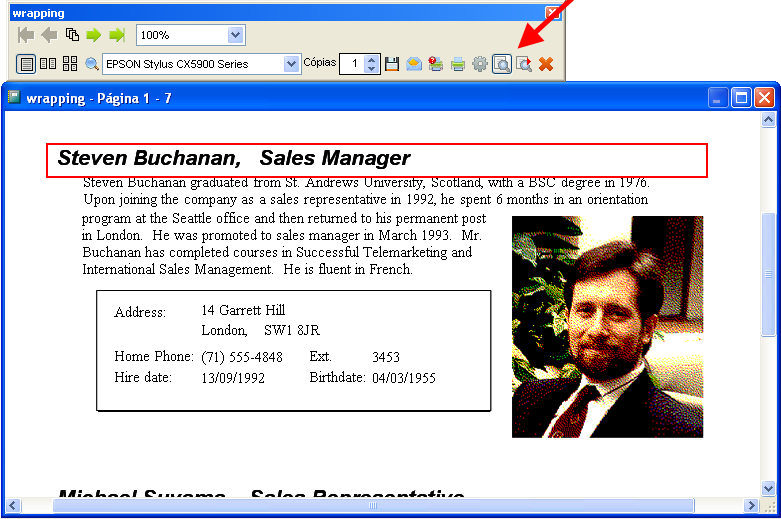 It was first published in the Foxite downloads section - http://www.foxite.com/downloads/default.aspx?id=166. Another impressive and courageous work. Thanks very much ! Jacques Parent - for the miniatures form several tweaks, and his continuous support and tests in all parts of the code. Thanks dude ! FOXITE community - I should refer to at least more 100 persons who have been continuously testing and providing suggestions that have been helping me a lot during this process. Max Arlikh, from the Russian VFP community, for the 1st version and idea for the HTML generator for the Simplified mode. The cool icons used in this project come from www.pixel-mixer.com , that are free to use for commercial use.